Yes, we had some milk spillage tonight, and no, that is not a yoga pose or a new form of child punishment. I mean come on folks, ain’t no thang in this house — especially on a night like this. I was so calm when I heard the telling “oops” from behind me. But honestly, how could I yell, or even get exasperated and scold when I was the distant one expecting my six year old to pour his own milk. And that’s when I realized on a seizure night everything is different. 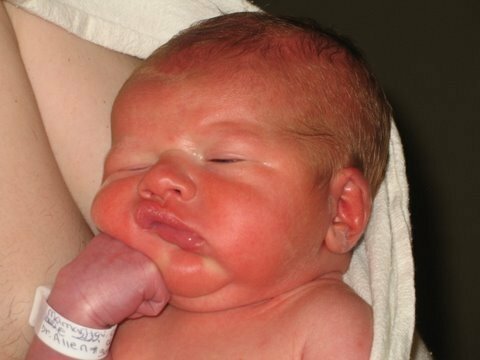 Feeling sentimental because six years ago (back in June), we held this roly-poly tomato-red little guy in our arms and didn’t know what to call him. This grumpy, pensive little porker with a big appetite. Fast forward six years, and other than that appetite you’ve changed so very much! Control is not something I feel I have much of these days. It takes so much for us to just maintain a normal routine, and that’s mostly out of our hands, too. It depends on who is sleeping well and who is hungry and if I don’t get away when Reese is sleeping, then how do we juggle things like groceries and making dinner, because she is my shadow. All. The. Time. It’s sweet. I love it so much. Having been away at the office five days a week for so much of her first two years, there was always that worry I wasn’t with her enough. (I think it’s safe to say she’s not holding any grudges.) So I think if you take all of her needs and you throw in our free-style rapping, ninja-loving, super-energetic wild man who never, ever takes a break. Ever. And yeah, it’s kind of just crazy all the time around here. And yet, when I start to feel our routine, (ok, so it’s more of a small town’s train schedule that is written on paper, but hardly ever kept, because of the sheep stuck on the tracks or the sleepy old driver. Routine might be a little too strong for us.) Still, when I feel it coming back into focus, I do almost have a sense that we are managing all this crazy. 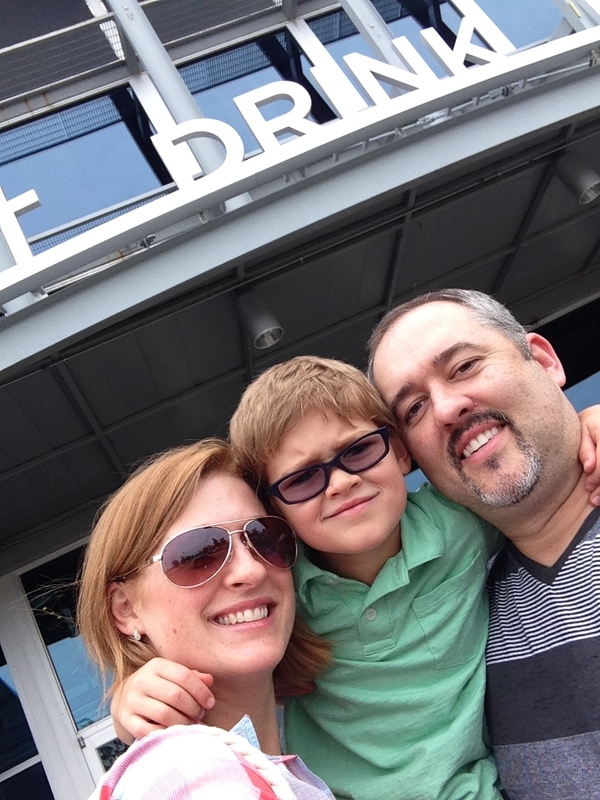 This site is sharing how our family is finding the good in all the change we’ve faced. We hope those coming to terms with, looking to find solace, or those needing encouragement in dealing with life’s changes will join us on this crazy road of acceptance. Read more about the meaning of the word OK. Happy girl. At least for a couple seconds. Then she started whining to get down. We get 10-12 min in the high chair these days before she is just done. It was still a nice dinner, she was in a chatty mood. Gave Daddy a few special looks, too. Of course I wasn’t fast enough to catch her sounds. The overdue update is here. I realized everyone is wanting to know details of what happened and what’s going on, and the real question of — what does this mean now? So you can imagine that is why I think I’ve been avoiding this post. Without being boring, here’s a brief overview. After four days on antibiotics you would think her double ear infection would be clearing… Reese’s body didn’t like the Omnicef I guess, because she was getting worse and we didn’t even know it. “How could you not know she had a fever? !” I know it’s going through your head. Two problems for us — one Reese’s lack of communication skills makes it hard to tell what she is saying when she uses the same mannerisms for everything. Second, she has a high threshold for pain, because of her lack of sense of touch. There have been several times that we didn’t realize she was in pain because she can’t react to it very well. Like if she pinches her finger in a door or drops something on her foot, she hardly responds. Combine the two and you never know when her finger in her ear means pain verses just annoyed by her teething or her stitches. Not that it’s an excuse for the fever, but I didn’t know to look for it because she was doing so well. And that’s where we probably made it worse. We had the most amazing Fourth of July with my parents, we were at the Club, outside, it was hot, she was well hydrated and shaded, but still outside. And up late. Very late. And she loved every minute of it. But realizing after the fact she was not well it was probably stressing her system even more. A system that has no ability to fight infection. 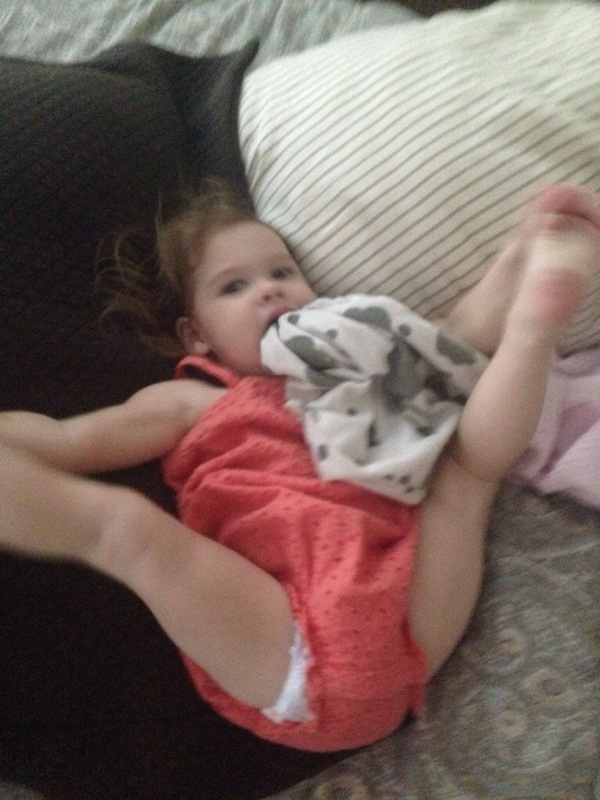 She is completely without an immune system thanks to her 14 months on steroids. I think it was just a perfect storm. She started seizing in the morning and we stayed calm. Heartbroken, but calm. We followed standard protocol and made sure she rested, gave her meds, and waited. Then she had some more and we gave her rescue meds and she rested. When she had more after that, we decided she must still be sick. So after 3 hours of waiting and getting a full work up at the urgent care as an out-of-towner, we determined she still had one infected ear, and luckily the good doctor offered to give her a shot of antibiotics to kill it faster. Unfortunately it wasn’t fast enough. We got her to drink some water, take some tylenol and she rested/slept for six hours. But at midnight, she started having her usual pairs of seizures, back to back and then asleep. But when those pairs start to get closer together and she can’t fall asleep it gets more scary. She was also showing some signs of other distress. So when she didn’t respond to the heavy hitter rescue med – in the valum family — (we hate using it), we knew we had to go to the ER. Rest of the story is not interesting except that it took them two hours to stabilize her. It was horrific. Our worst episode ever. And we felt helpless and so scared. But it’s over and she is better. We meet with the doctor next week and we will share what the plans might be after that. Until then, we really can’t say what’s next for us. 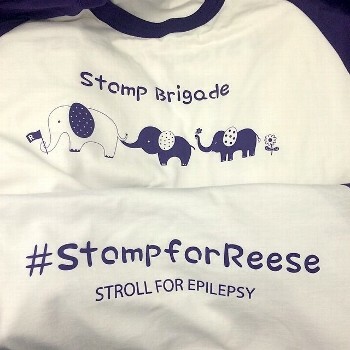 The most important thing is Reese stays healthy and that nothing stresses her immune system. That is the best way for her to stay seizure free. Needed a little peace of mind tonight. I started going to bed 3 hours ago, but I have to share from even a little earlier. Davis was of course thirsting for our attention and we started up with a bedtime book when Reese just wasn’t having it. Reese is still coming off high dose steroids and valums, so we spent a couple hours accommodating her fussiness with little success. Wild man wiggled his hiney in the shower and danced around saying good night for an extra 5 minutes. Poor guy got skipped on a book because I got distracted with her and was sent to bed at 8 (his actual bed time, not the summertime flexible schedule bed time). I’ve been using these new oils to show my love and give him that mommy attention. Just me and him. Rubbed allergy combo on his feet and neck, targeted several bug bites with a new combo I made for the trip, read The Greedy Snake and said good night. Hubby and I take turns watching Reese sleep. It’s still too soon to relax. I was so done for the night at 10. Got Reese in bed with some Franc and Lavender diffusing. And I believe I was drifting off sprawled on the edge of the bed (fully clothed, on top of the covers) while B took a shower. Oh but wait there’s a child in pain screaming in his sleep and I have to snap to. Poor little man either had growing pains or a charlie horse but it was bad. Never seen him so crazed and obsessed with a pain. I tagged Bryan to head back into Reese’s watching party, while Nonny went for a banana and water and I grabbed my sample dose of a muscle pain reliever oil. Rubbed all over his legs as he writhed around and about 20 min later he was asleep again. Phew! Crisis averted. Aside from his pain I was also afraid he would wake Reese and then we would never sleep. Ah yes sleep. Um, not going to sleep now with adrenaline pumping through me after all that commotion. Showered and mentally unwound but I’m still here. Had to share because my unwinding helped me realize how many oils I just used in one evening. All of it helping me keep peace of mind that I can help all my loved ones. I even rubbed lavender on hubs forever skin rash and Reese’s medical tape burns. And a little sleepy time smell for me. And of course I had a good laugh at the sheer absurdity that I literally just got home from the hospital with one kid and was quickly facing a new pain with the other. Laughing at my life’s disregard for sleep and routine. Laughing because even after a real shampoo I still can tell I washed my hair with body wash in the hospital. And because eating PB and crackers in bed is totally normal for me because I’m always on Reese watch. But we are not in the hospital so that is the best kind of peace of mind. Sleep tight. So excited to be on this trip. To get to be out of our house. To let Davis run wild and allow Reese to explore new things. To be spoiled by my parents who are thrilled at sharing all they love with us. To do it up on the Fourth like we did when we were kids. To just be normal. Plus, I know I am trying not to take it all for granted that only 35 days ago we had the scariest day of our lives. You ask how she is and of course the answer is great. Anything is better than the worst nightmares we’ve had. I have been so optimistic because it’s really the only option in my book. I wouldn’t know how else to live. And then it’s like you have a few good weeks and you forget the fear. It’s nice to forget but it always hurts more because you feel like an idiot for letting down your guard. You tell yourself “you knew better!” And you sigh. And maybe you cry. I’m holding on to a sliver of that former full moon of optimism right now, while I hold my sweet exhausted girl. It’s easier to say it here than to your faces, all your amazing, beautiful faces who love us so. She had a seizure after we got unpacked at my folks and we totally didn’t see it coming. Yes she has an ear infection. But she had been on antibiotics for 48 hrs and normally it’s the first symptom. So we waited and when she seemed to be stable we figured we got past it. I was really thinking this was the sign we needed that surgery may have been the cure. An ear infection with no seizure would have been proof. We still need to give it time. It has to be the answer. She slept and she went the next 2 days all normal. The pictures are proof of her good mood and feeling so well. But this morning we’ve had another hit and I don’t think we can ignore it now. So we are going to keep hoping it’s all part of a treatable ear infection. Seems her antibiotics aren’t doing the trick. So we’ve upped the ante and I am adding oils to the treatment because I have to believe it can only help at this point. Needless to say, we won’t have that easy-going feeling for a while. We are back on guard. And just when I thought good change was coming, we may have to put that on hold if we are back to where we started. No telling just yet. As always your support helps us through every day. She will let us know when she is better. Right now we are just focused on getting to Monday when we can see the doctors. While our little warrior is healing so nicely at home, I’ve been feeling the need to give back. I need to pay it forward in any way I can. One thing I know pretty well now is hospital stays. I hope most of you never have to take advantage of this list, but there are a few out there for whom, regardless of hospital, I want to share what I’ve discovered. Part one has seven packing suggestions, and I will share a second list on how better handle some of the situations we’ve encountered. 1. Don’t underestimate your personal care needs. I say this because the 5-10 min you take for showering a day can be the one thing that helps you unwind and re-focus. For me, the child-sized towels just didn’t cut it. That, and the cold water. So my tip is bring grown-up towels from home (or buy beach towels at Target or the gas station if you can’t get home) and bring your favorite soap, because the only other option is probably for babies, and while you love them, you might need something else to feel clean and refreshed and not another reminder that you’re in a child’s hospital. Extra tip for ladies: I hated being cold with wet hair after my showers, (room temp is fickle), so I had a hair dryer. But if Reese was sleeping I used it in the locker room or down in the public bathrooms on the floor. Extra tip: about that hot water. If you can’t seem to get hot enough water or have little water pressure, as was our case, look for a locker room. Having used the PICU showers several times for our stays, we knew they had hot, strong showers. So despite the walk and the lugging of the personal supplies, it was worth it to me to get a real shower. 2. Go with the bare minimum for ICU stays. Ok, so I know this seems to counter the above suggestions. But here’s the thing, if you know you’ll only be in ICU 1-2 nights, you can leave the details in the car and get them when you move to a private room. The ICU space is very small, and for our visit the lockers were tiny. So when we’re there, we go with the camping-style basics of hygiene and leave the luxuries for later. Though you wouldn’t be able to eat in the ICU, you can still save money and have your preferred snacks with you. You’ll just have to go eat them in the waiting areas. And when you have a room to yourselves, snacks are so helpful. I suggest whatever’s easy for breakfast because if there’s ever a time NOT to leave the room, it’s between 7-10am. Of course, I still ran down for coffee most days thanks to my gift card (see No. 4). But, we had Cliff granola bars and fruit. Oh, and my new favorite burst of energy comes from Mamma Chia. I love the texture compared to other baby food pouches. (Yes, I’ve tried baby pouches). Getting coffee leads me to my favorite tip. Ask for gift cards! If you have loved ones trying to help you, they can get you gift cards. Maybe it’s for restaurants near the hospital or in our case, our beloved Cook Childrens has a full-sized Starbucks in it. So I was able to get my favorite form of caffeine every day, and get Reese’s favorite treat, pumpkin bread, and know the cost was covered by our friends. Such a good feeling and one less thing to stress about! Also, our hospital has one universal gift card that can work at the smoothie shop, cafeteria and gift shop. So for those looking to surprise someone, you might call or go online to the hospital to look for an option like that. 5. Don’t worry about toys. In our experience, the true kids hospitals have an amazing Child Life Services team, and they have loads of toys available for your kids. We only brought two of her most-used things, in case they didn’t have anything similar. For big kids they have game consoles to check out and if your child can leave the room, there are cool hang out areas on every floor! Our healthy kid thinks the hospital is as cool as going to the zoo! 6. Don’t forget noise canceling stuff. This goes for you and for your little patient. We found bringing our ocean waves sound machine not only helped Reese feel at home, it drowned out the can’t-be-helped noises from beeping machines and unhappy children, both in the ICU and within our private room. If you have fancy headphones or ear buds, make sure you have them. Rooms are small and if you plan to watch any TV/movies on a a tablet or laptop, definitely bringing them so your kiddo can sleep in peace. Note: On our last visit we never watched TV or our computers in 7 days. We surfed our phones plenty, but your time is so constantly interrupted we never saw room in the day to turn on a show. 7. Something to clear your head, maybe. Again, it all depends on your situation I think. You deserve something for yourself — whether it’s US Weekly or a chess set, bring your hobby for down time. It just didn’t work for us. Partly because Reese is so young and has to be played with, and partly because we chose to always be involved in her care… we never had quiet time to do any of the bill paying, “catch up on mail” To Do list kind of stuff, even though we brought a whole bag of it. So leave it at home if you have a little one like us. I am sure if you have an older kid who watches TV and can be self-entertained more you might have time to knit or read or whatever. We just couldn’t ever get focused long enough. The one thing I did to relax, other than hot showers, was use my oils. I didn’t want to do much because I am cautious about how sensitive Reese might be to the smells both as a patient and as an epileptic. I was lucky to get my hands on a friend’s recipe for an anti-anxiety combo of oils. It smells earthy and comforting and I would inhale a whiff from my wrists or my scarf all during the nine hours of surgery so I didn’t rip off some poor innocent person’s head as I tend to do when I’m nervous. I also kept up with my night time regimen of Peace & Calming and Valor on my feet and neck to help me sleep and not clench my teeth. Note: I did use rub the peaceful one on Reese’s feet and her lovey blanket, when she was getting tired of sitting in her crib all day or when we knew the lab team was coming to take more blood. I figured at that point anything I could do to help her and me relax was worth it. A second list is coming for how to prepare for the stay….